Mayhem Paintball is just the other side of Theydon bois and Epping so if you want to play Paintball in Debden, Mayhem paintball is only 5 minutes away or you can just get on the tube as Debden is one stop from Theydon bois on the central line, where we offer a free minibus pick up from. With amazing playing fields, the very best in equipment Mayhem has been voted the UKs best paintball venue, check out our testominals. 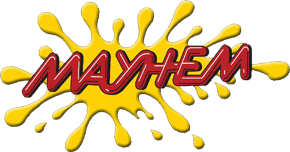 For a great day out Mayhem Paintball is just on your door stop only a few minutes from Debden, so why not come down and have a look around we would be more than happy to show you around.